Bright & Bold Paper Pieced Blocks Every Month. We use patterns from two classroom sets of Carol Doak's Fabulous Stars books and we make a different star each month. 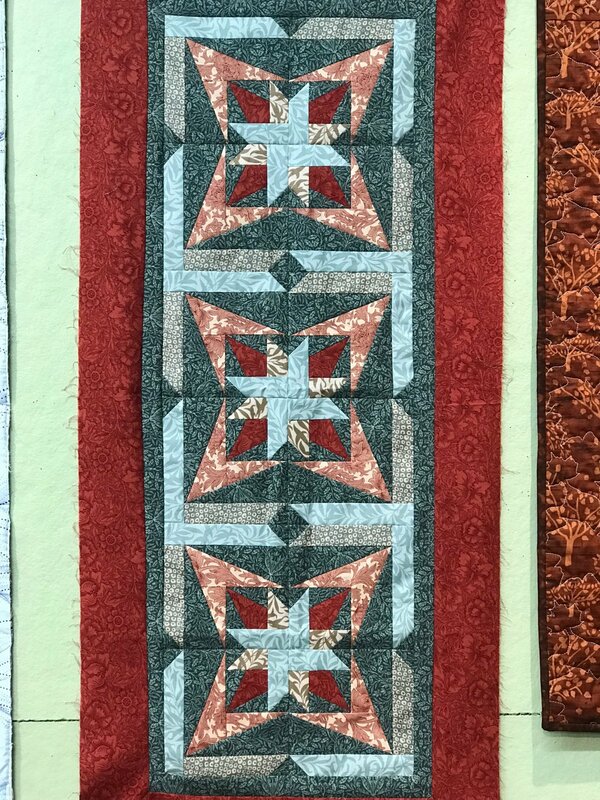 Each month we make either a table runner or a table topper / wall hanging size sample. In class you will make one block which you can then take home and replicate to make any size project you wish. This class is designed to be flexible, most students come each month but if you cannot attend each month you can simply join in the next time you are available. There are specific fabric requirements (we have done the math for you to make the class sample size) and pre-cutting instructions. Materials Included: Please call or stop by the store for fabric requirements, there are pre-cutting instructions. Requirements: Please bring your sewing machine* and basic sewing supplies including a rotary cutter, scissors, pins, a quilters ruler and thread to match your project. If you would like to sew on one of our machines simply let us know in advance so that we are able to move one to the classroom in time for class to begin.